Gerard Mark Bringley of Japan was active early and late in Day 1A of the APT Asian Poker Series Cebu 2015 Main Event and it paid off as the Japanese led all 27 survivors with 102,400 in chips going into the next round of the tournament with a PHP 50,000 buy-in. From the total 64 runners who joined the opening day of the highlight tournament in the nine-day poker festivities at the All In Poker Club located at the Waterfront Hotel & Casino Lahug in Cebu, Philippines, less than half will be returning for Day 2 set on Sunday at 1:00 PM. 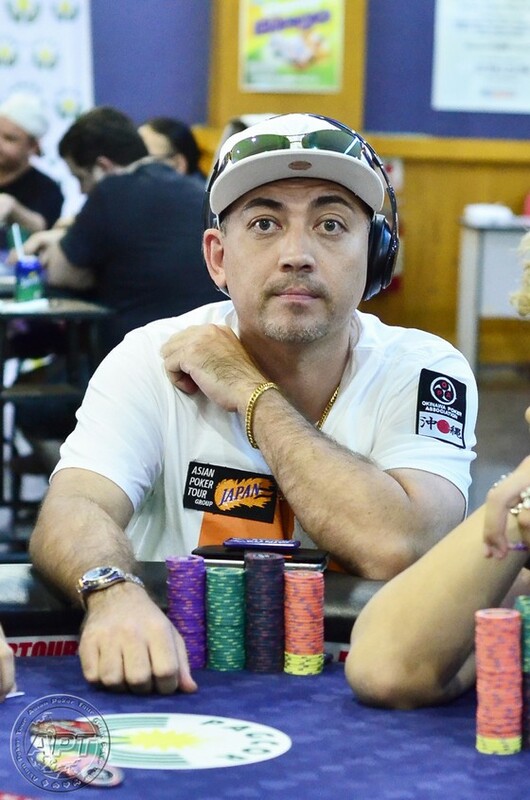 Bringley, who is aiming for another deep run after his recent win at the APT Poker Weekend Series Manila last June, is joined by Coco Park (Korea) with 81,450; Roger Spets (Switzerland) with 80,950; Iori Yogo (Japan) with 78,525; and John Graham (USA) with 69,325 at the top of the leaderboard for Day 1A. Bringley’s performance was in full display late in the day when he added some more chips to his already big stack beating Bryan Huang (Singapore) with a set of sixes on a scary board that could potentially have a one-card straight. A short-stacked Huang was eventually felted by Mike Takayama (Philippines) in the final hand of the day. Other notable pros who advanced to Day 2 were Inge Forsmo (Norway); Henrik Tollefsen (Norway; SJ Kim (Korea); Andrew Gaw (Philippines); Sam Razavi (United Kingdom); Jason Powers (USA); and Linh Tran (Canada). Aside from Day 1B of the main event, two other side events are on tap Saturday (August 15); the Pot Limit Omaha Hi (PHP 11,000 buy-in) and Deep Stack Turbo (PHP 5,500) events at 3:00 PM and 7:00 PM, respectively. For complete details, check the event schedule page.